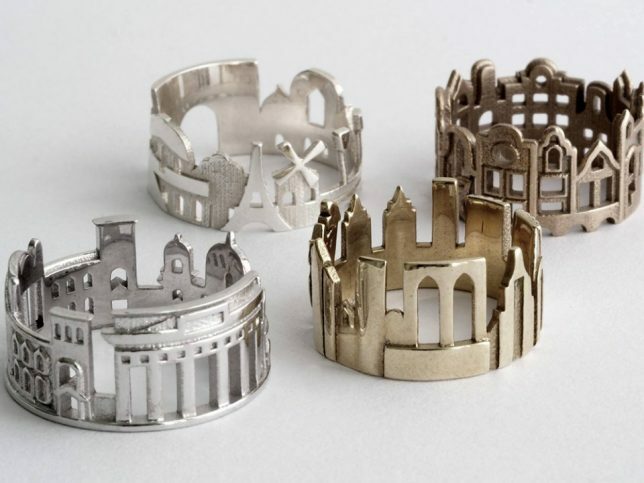 Most jewelry tells some kind of a story (about its origin if nothing else) but these pieces are a bit more explicit, featuring tales of structures, characters and actions in miniature built environments. 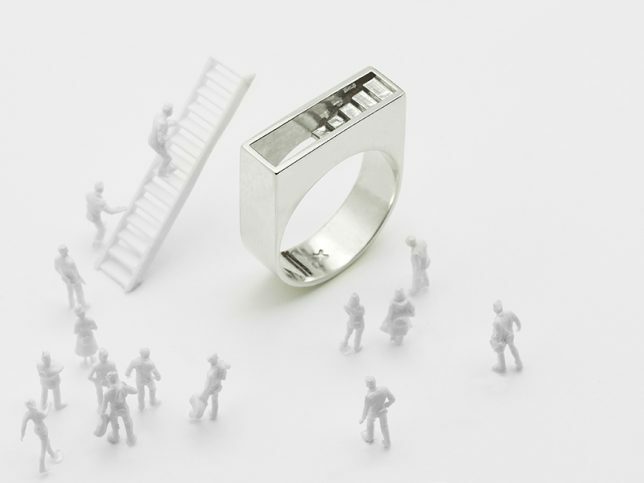 Whether he is crafting mysterious staircases to nowhere or endlessly looped brick arches, each piece involves careful attention architectural detail (including theoretical structural load calculations) and is available in brass, bronze or silver. 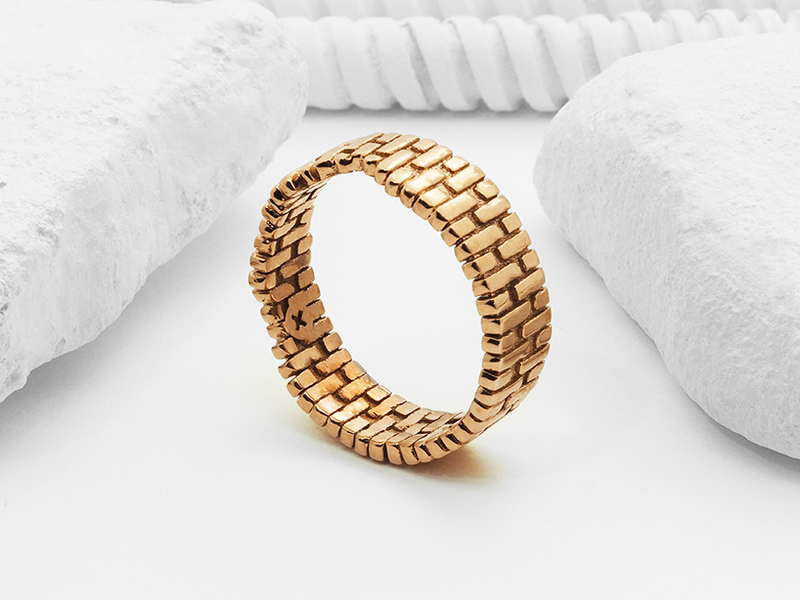 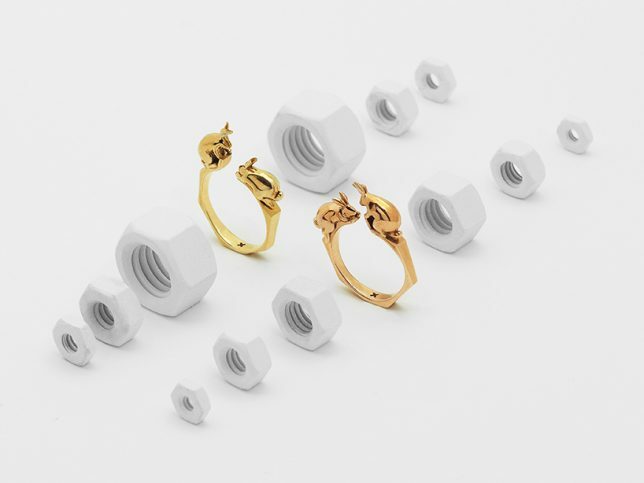 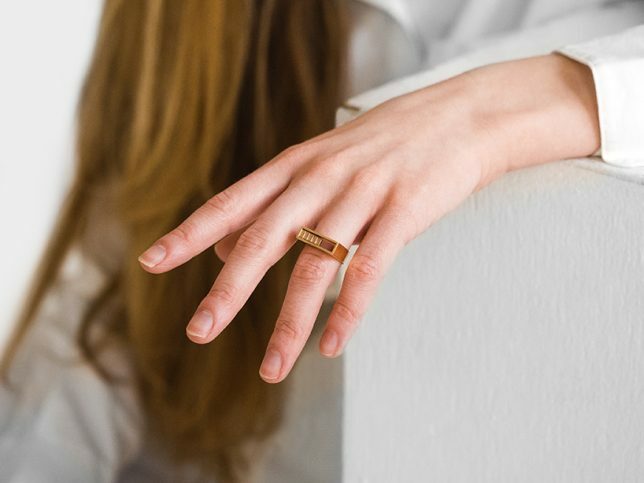 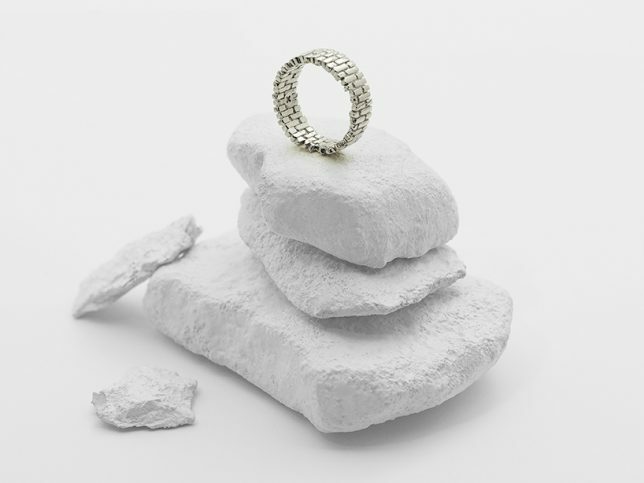 The brick ring specifically goes back to his days in architecture school — “there is something very tactile and nostalgic that give [bricks] both timeless function and meaning,” says the designer. 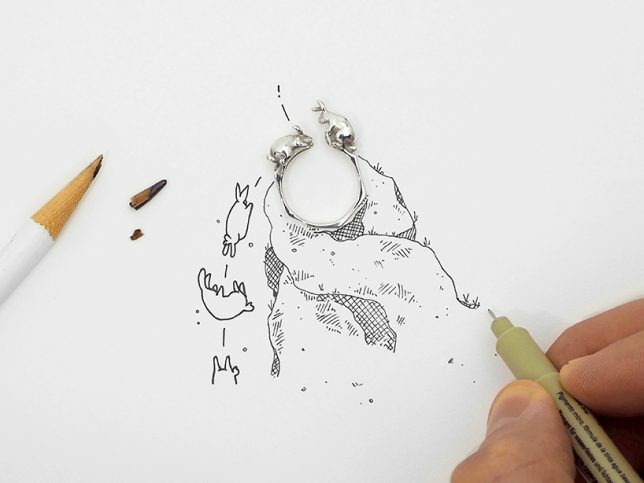 “I think the imagery of it being personified is playful — the rabbit is cute, hops around, eats, multiplies… and lives naively in this world.” Even here, though, he is conscious of real-life conditions – the suspended rabbit above hands from what would, in reality, be the bare minimum load-support beam across an abyss. 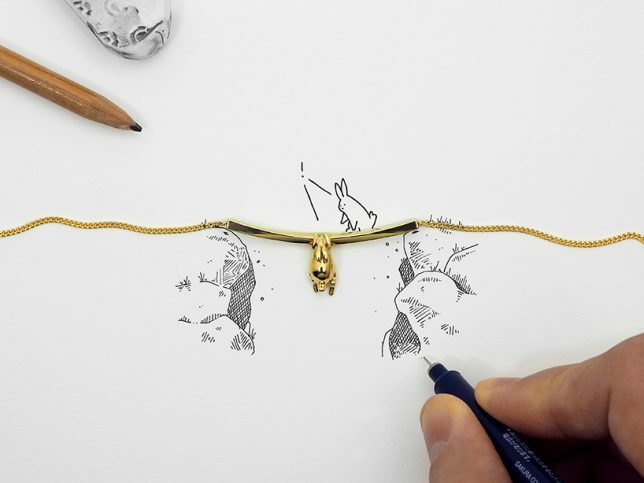 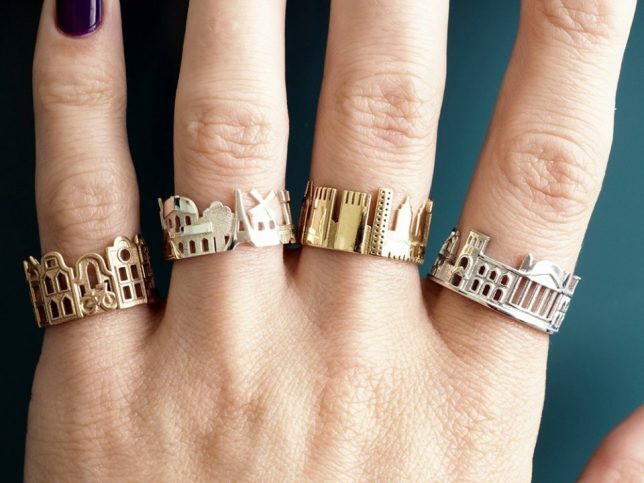 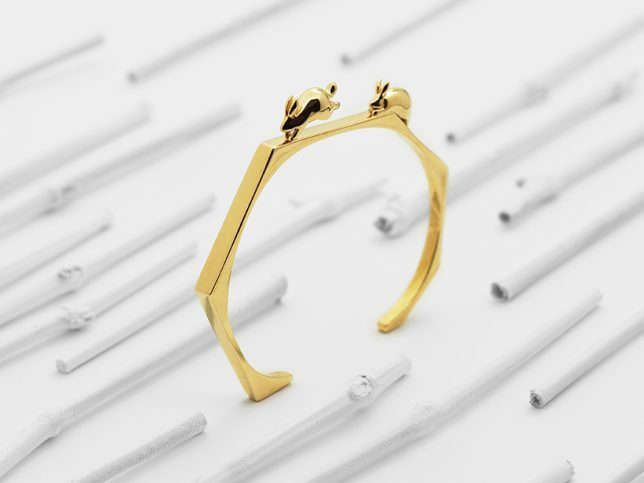 Fans of architectural jewelry should also take a peak at this series of wearable skylines, featuring famous scenes and settings (though in a more two-dimensional format) from around the world.